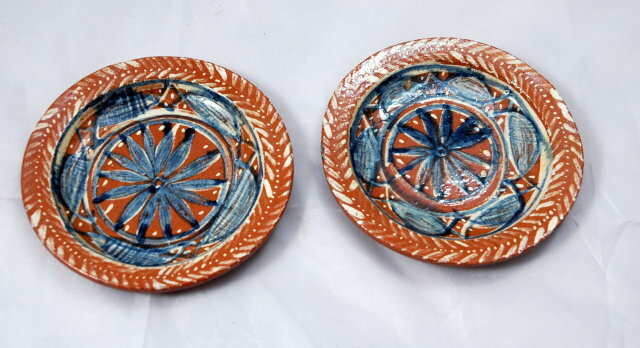 2 small decorative hand crafted and hand painted Mexican pottery dishes. It is a red pottery with blue and white painted design. The condition is very good for age. Items Similar To "2 Mexican Pottery Hand painted Dishes"